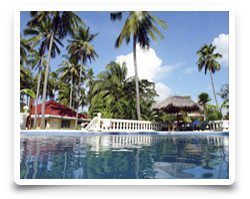 Whispering Palms Bungalow Resort - RELAX. 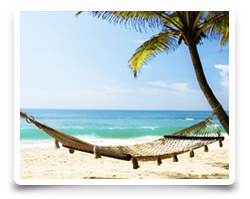 After arriving immediately relaxing, enjoy total relaxation is our philosophy! 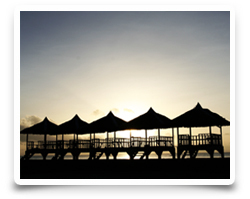 Located directly on the waterfront between diving school, a refreshing breeze is almost always guaranteed. This is the ideal place for our relaxing massages. Five Seaview Houses, which can be reached via a 50 m long bridge, that leads to the Sea. Read an amazing book from our resort library or listen to the gentle waves. 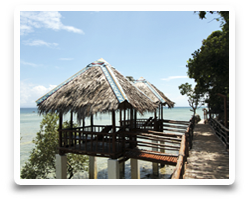 Our new tower in the middle of the bird sanctuary in our mangrove forest, from there you can enjoy an peaceful view of the whole Whispering Palms bungalows and the island of Sipaway. 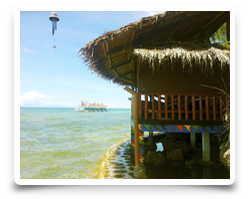 Along the way to the dive center we built bamboo huts that invite to spend the day comfortably and completely relaxed. Comfortable sunbanks at our Whispering Palms swimming pool invite you to sunbathe and a subsequent plunge into the refreshing salt water. Simply switch off? No problem! In the tropical garden you will find hammocks, which are inviting you with gentle rocking to relax under our whispering palms. 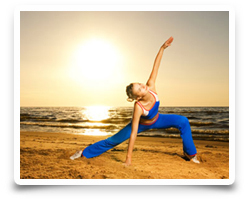 Sports in general and any physical activity are essential for a healthy body and mind. 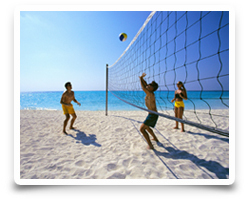 Take a break from your holiday-everyday and play a game of tennis or badminton. Play against a friend. Or use our modern fitness equipment for a workout. The dive sites in the Philippines offer a great variety and diversity in spectacularly beautiful coral gardens in Negros. 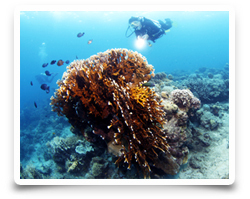 The "Sipaway Divers" dive center invites you to snorkel and dive. More information at our dive center. Once around the island Sipaway? No problem! Enjoy the ride the whole day long. 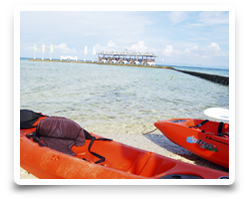 A great way to explore the mangrove forests by kayak. This is an ecological and colorful adventure with family or friends. 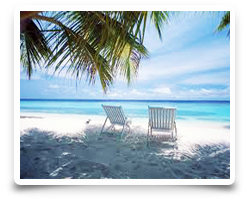 Here is the opportunity to enjoy the scenic backdrop of a lovely tropical beach! Sun, beach volleyball and tropical cocktails, for a volley-match -just before sunset- you can find almost always an opponent. 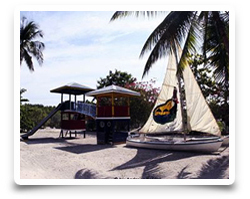 Whispering Palms Bungalow Resort - Children's playground, with plenty of room for all sorts of activities. To play outside, enjoy the sun and have fun. Our youngest meet there to play, crawl or run around. An exciting mix of adventure, action, fun and offers a lot of variety for the kids. 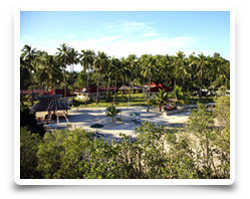 Whispering Palms Bungalow Resort - Zoo. 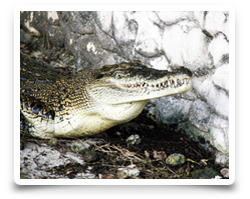 In our zoo you can visit the house crocodile Stefanie, a lot of monkeys, snake, cockatoo, macaw, Kalao, hornbills and other tropical birds. Admission is free, of course. Regular feeding of house crocodile Stefanie is available for all hotel guests - the wild animal feeding is always an interesting presentation.